Donate your flowers to a nursing home. Everyone loves getting flowers, and nursing home residents and staff could always use something to make their day brighter. 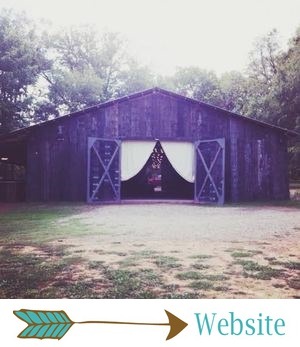 This is actually something our team will do for you if you're a Barn Bride! Create a charitable registry. If your home is already well-stocked, ask your guests to make a donation to one of your favorite charities instead of purchasing a toaster or another household item that you don't really need. Check out The Good Beginning. Another option: create a universal registry on Amazon and add a link to your favorite charity's donation page. Make a donation to your favorite charity in place of favors, or choose favors that are purposeful - like flower seeds or tiny trees that are ready to be planted. As cute as they may be, favors can be kind of pointless. Your guests probably aren't going to keep a shot glass with your names on it forever. Making a donation in their names to your favorite charity will make a difference that will last far longer than a bag of personalized M&Ms! Choose sustainable details. Recycled paper for your invitations. Locally grown, in-season food for your reception. In-season flowers. There are endless ways to go "green" with your wedding invitations, food, flowers and other details! Donate what's left over. Your food, flowers, centerpieces, even your dress can all be donated to the less fortunate after your big day!